This is the second time I have purchaed this product. 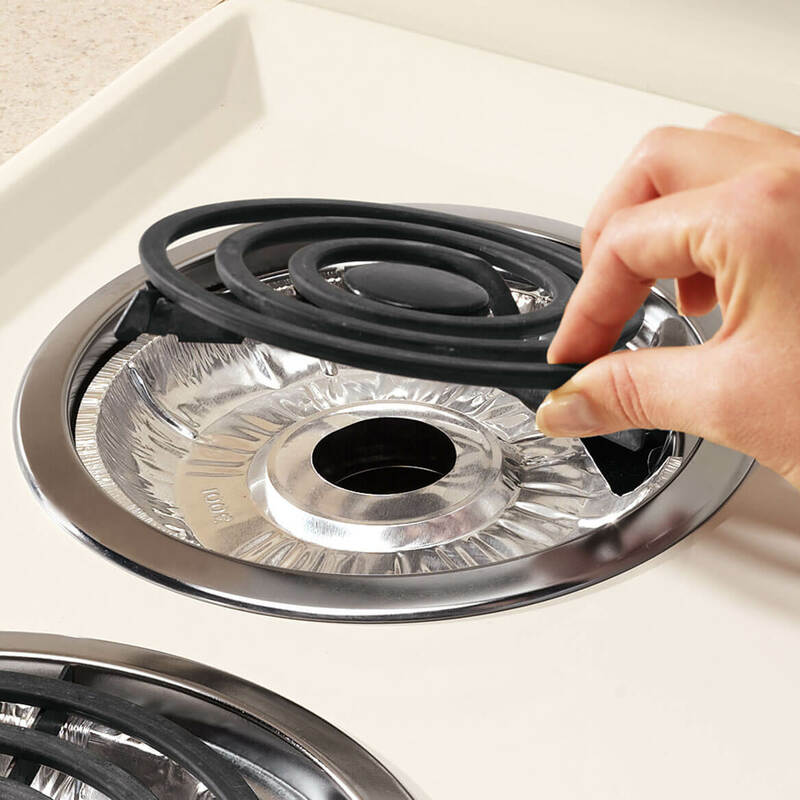 I love these foil stove burner liners as they save clean up time, protect the aluminum liners and save money. 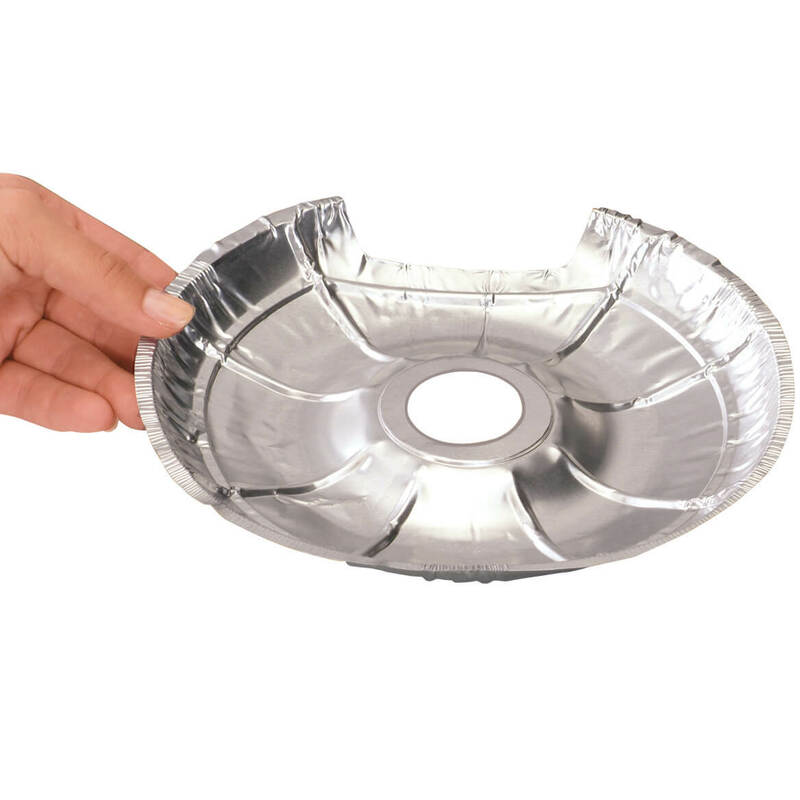 I have an older electric stove and these foil liners look bright and last a long time as you can wash them. My original aluminum liners look so used and soiled. And the price is right for 18 of them! Thank you Walter Drake. Lots of little burner tins! Very convenient! Large ones too. I frequently change the burner tins that protect the burner pans. It was really helpful to find a package that has so many of the smaller tins, which I change more often than the larger ones. I chose these burner liners because I make a mess cooking. hopefully these will keep my stovetop looking neat and tidy. These are great for my stove, you know how spills can be while cooking? You just dispose of them when you're finished. We have had a hard time trying to find foil liner replacements like these. Tired of scrubbing the original and no matter how careful you are when cooking. A lot of spills on my part and these foils save scrubbing ! These are amazing! They catch the drips and save your metal burner pans from getting dirty so quickly. Just toss and replace when they get dirty! Love these! Could not locate them locally. Always use these, helps cleaning the stove from spills!! I have used these for decades and saved myself tons of cleaning grief! I chose these so I can just throw them away and I don't have to clean them. I hope. Great price and I'm hoping they will save on me constantly replacing my drip pans. always need these items, I cook a lot and spill a lot. My stove is a mess and I hope these new liners will spruce it up. Have used this product for years. Sure saves on the hard scrubbing when something boils over, just remove disposable pan and replace, keeps your stove looking great. Could not find them anywhere elst.